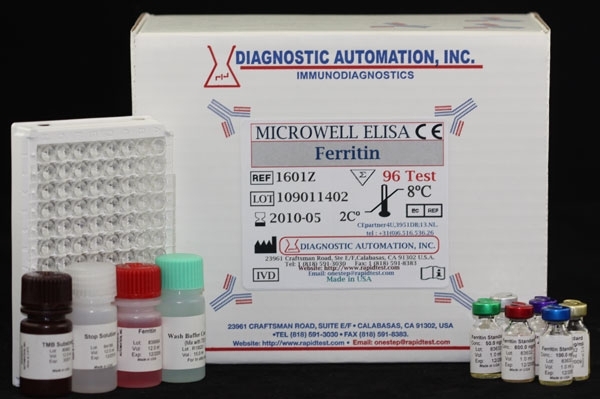 This Ferritin ELISA test kit is a Quantitative test based on a solid phase enzyme-linked immunosorbent assay that screens for Iron-deficiency anemia. One of the most prevalent disorders in humans is the dietary deficiency of iron and the resulting disease of anemia. Therefore, the assays of iron, total iron binding capacity and other assessments of iron compounds in the body are clinically significant. Iron-storage compounds in the body include hemoglobin, hemosiderin, myoglobulin and the cytochromes. In most tissues, ferritin is a major iron-storage protein. Each molecule of ferritin may contain as many as 4,000 iron atoms. Under normal conditions, this may represent 25% of the total iron found in the body. In addition, ferritin can be found in several isomers. High concentrations of ferritin are found in the cytoplasm of the reticuloendothelial system, the liver, spleen and bone marrow. Methods previously used to measure iron lack adequate sensitivity, and are invasive, causing patient trauma. 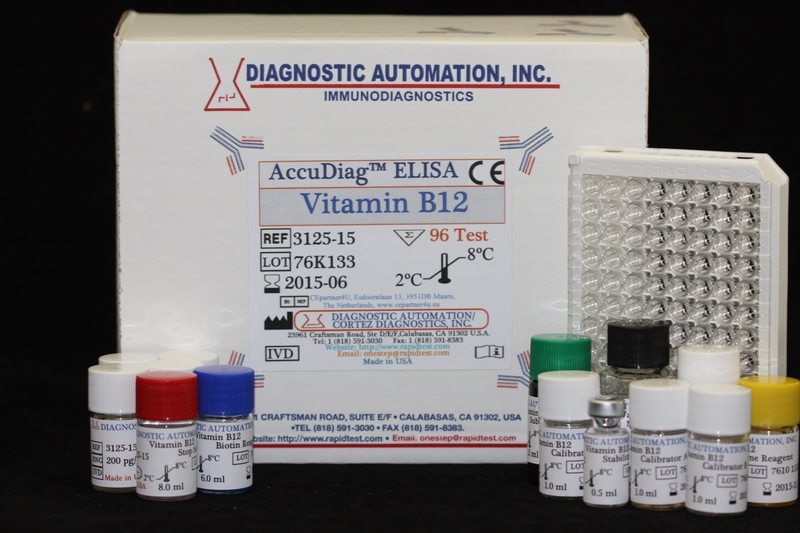 The ELISA kit measures ferritin in serum, which is useful in determining changes in body iron storage, and is non-invasive with relatively little patient discomfort. Serum ferritin levels can be measured routinely and are particularly useful in the early detection of iron-deficiency anemia in apparently healthy people. Serum ferritin measurements are also clinically significant in the monitoring of the iron status of pregnant women, blood donors, and renal dialysis patients. High ferritin levels may indicate iron overload without apparent liver damage, as may be noted in the early stages of idiopathic hemochromatosis. Ferritin levels in serum have also been used to evaluate clinical conditions not related to iron storage, including inflammation, chronic liver disease, and malignancy.